Rejoice with them that rejoice… right? Welcome new followers–God bless you! And faithful followers, God bless you as well!! Years ago, I worked with a wise woman of God who used to quote Proverbs 10:22 when the Lord blessed her with something. She’d say aloud, “the blessing of the Lord, it makes rich and He adds no sorrow to them”. I used to chuckle when she said it, but I think I finally got why she said it. 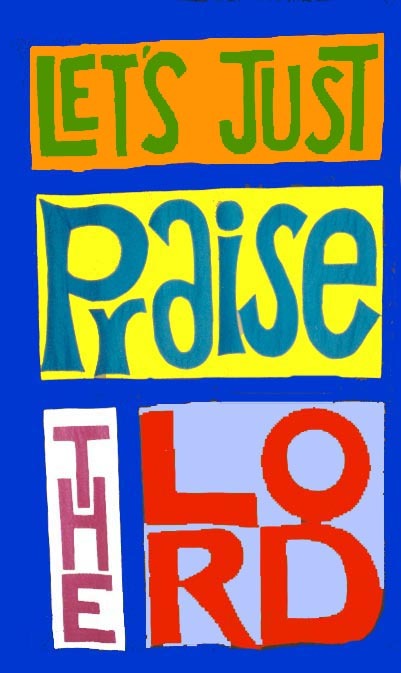 Praise is what we do. While we are happy to receive the blessings from God as He gives them, it is sometimes a challenge to share our news with people, in part because of the reaction we may receive. As we testify or people witness the blessings of God in our lives, ideally we’d like for them to be happy for us. Very often, people may comment adversely, causing us to not want to share how God made a way. I raised my daughter as a single parent, which was a challenge to the third power sometimes–especially financially. The Lord saved me when she was 3, which did not put me on Easy Street— He did send “ex-ree” 😀 blessings down on occasion. Whenever I wore something new to work, a former co-worker would notice and ask me “how can you afford that?” Oh, it gets better! Another ex-coworker–no, a manager once said, “I don’t know how you can dress all matched up like you do. I don’t have time to comb my hair. ” *insert hair blown back here* Of course that comment was a reference to me not being married , but “Sue-Ann” didn’t know it was with God’s grace getting my child and myself together every morning. On another occasion, the Lord blessed me to get some “accoutrements” on my car. Someone went to my superior and said something like, “Blenda’s got money to do that– that’s not cheap!” Seriously?! Is that any way to react to someone received a blessing? Comments and attitudes like that are enough to make you stop testifying altogether. But it shouldn’t. Psalm 107:8 says, “oh that men would praise the name for His wonderful works to the children of men”. And since He doesn’t add sorrow to His blessings, we should not be sorry or fearful for what He’s done, rather tell of His goodness! When Jesus healed and forgave folk in the Bible, they ran and told that thing to all who would listen! Now it is true everyone can’t handle hearing about your blessings, so tune into God to find out who you can celebrate with and how to handle the naysayers. You may find the “negatory” folk are the ones who need to hear about God’s goodness and the plan of salvation. If they are saved already, gently remind them that all that’s good and perfect comes from Him–and ask what good has happened in their lives lately. Lest you think this post is about receiving all a ton of material things from God, that’s NOT my point. God has blessed me to grow spiritually, be healed emotionally, sustained physically, and be kept financially–and I am not sad about that at all! With all that’s going on bad in the world, we really have a lot to be thankful– not sorrowful for. Go ‘head and testify. I will praise God with you!